In today’s global, multicultural and knowledge oriented world, education is the tool that opens the door for creative thought, enterprise and trend setting adaptations and changes. But does today’s education prepare the young minds to face challenges, reach out courageously and empathetically embrace this world? Our experience cautions us before making this claim. As a team of experienced educationists we very strongly believe the time has come, where this effort of creating world citizens in the chaotic and muddled world is not just a need but is our responsibility. 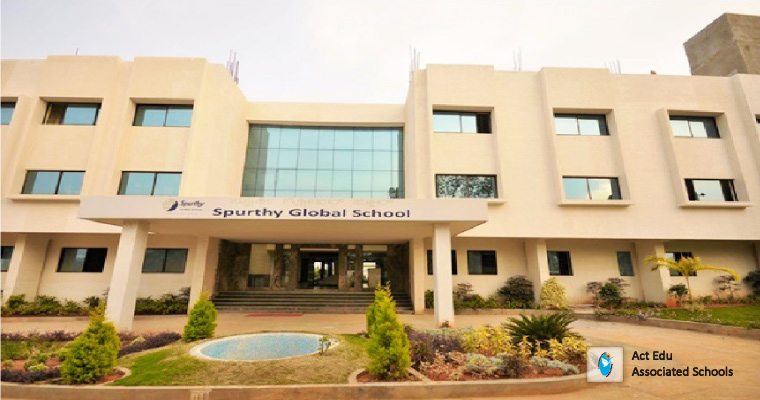 Spurthy Global School is the latest venture of Spurthy Group of Institutions. The Spurthy story began in 2003. It was scripted by a team of dynamic and vibrant technocrats, research scientists, entrepreneurs and mentors with an objective to encourage, foster and create next generation leaders in health care, management and science.Today, Spurthy alumni and alumnae find their rightful place under the sun, across geographies, performing at par with the very best in the world. Facilitating this is Spurthy’s commitment to provide education of the highest standard, keeping abreast of the changing teaching methodologies and paradigm shifts in technology. In fact, our focus is on preparing every student to adapt to the changing professional environs and excel in his or her walk of life.Spurthy has a 900 plus student body with more than 70 faculty members. Our earnest effort to reach out to the community has resulted in continued growth and diversity in faculty, students, infrastructure, and goals for the future.